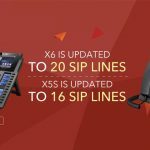 Grandstream Networks have announced that its Linux-based IP phones successfully completed TR-069 interoperability testing (IOT) with Friendly Technologies’ TR-069 device management solutions. 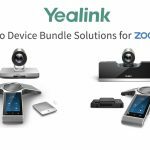 Deployed together, the two product lines provide an answer to broadband service providers, who seek to reduce the time-to-market for launching next-generation services. 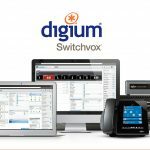 Friendly’s solution provides complete and unified service life cycle management for Grandstream IP phones, including Zero Touch provisioning, quick fix and troubleshooting for support centers, and VoIP performance monitoring – all from a centralized web-based console. 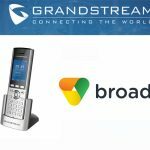 Grandstream’s Linux-based IP phones include the GXP11xx, GXP14xx, and GXP21xx Series as well as the GXV3175 and GXV3140 IP Multimedia Phones. 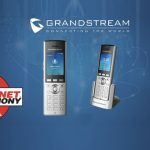 Grandstream’s IP Phones provide affordability, best-in-class HD audio, a comprehensive set of advanced call features, multi-language support, security protection, simplified management and automated provisioning with TR-069 or HTTPS, advanced XML customization and more. The GXP-series includes over a dozen models to choose from ranging from single line to executive 6-line HD phones with integrated PoE, while the GXV-series IP Multimedia Phones feature HD video, an integrated web browser, and popular applications including Facebook, Twitter, YouTube, RSS News Feed, Internet Radio, etc. Friendly Technologies has completed IOT tests with over 100 device manufacturers. Friendly’s unique Smart Layer technology facilitates the introduction and management of new types of TR-069 devices quickly and aautomatically, eliminating the need to build customized scripts for each device type.